Thursday is trash/recycling day at my house. That means whatever is cleaned up in the kitchen after dinner goes right into the garbage and then out to the trash bin at the curb. Scraps of food from plates, pieces of fat from the meat, the hard part from the head of lettuce, the coffee filter filled with grounds, the “icky looking” piece of carrot the kids didn’t want, etc. It all goes into the trash. It’s not like I was throwing away a lot of food scraps. But I’ve got to admit, as I rolled out the trash and recycling bins, I started wondering what else I could do with that food waste. My family already recycles. So do a lot of people in North Carolina. In fact, a new report shows nearly 500,000 tons of household recyclables were diverted from North Carolina landfills last fiscal year. That’s about 300 pounds per capita. But my family, and the state, could still do more. 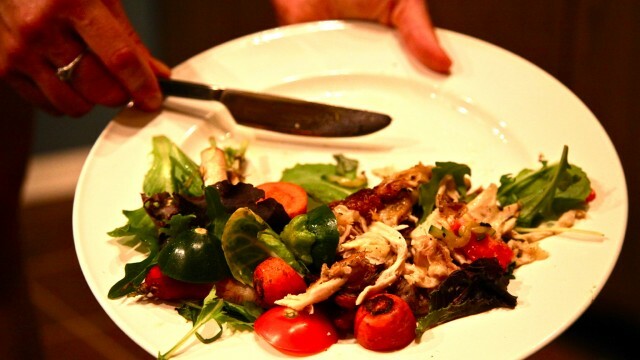 When it comes to food waste, composting is an option. But let’s face it; composting is more complicated than recycling. For home composting to be effective and turn food waste into soil, it needs to be turned and treated. There’s also the smell issue as the food waste decomposes. In addition, some food wastes, such as bones, just won’t break down in small compost piles in the backyard. Apparently, people around the country have the same questions and companies are cropping up to provide answers—and solutions. From Atlanta to Brooklyn entrepreneurs are pioneering services that make it simpler for people to compost. Fortunately for me, there’s a company based near my home in Raleigh, NC. It’s called CompostNow and it is one of the first full-service, weekly doorstep compost services in the country. 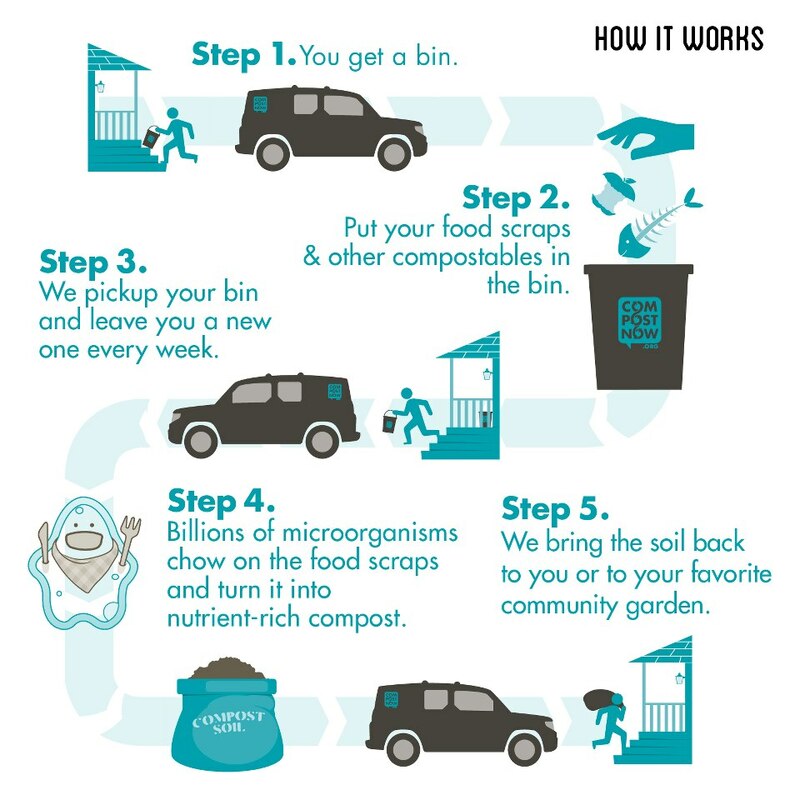 Here’s how it works: For $25/month, CompostNow picks up its customers’ compost once a week and drops off two clean compost bins . 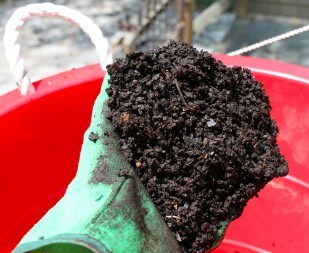 For every 100 pounds of compost picked up a customer earns 50 pounds of soil. Customers can track how much soil has been earned on the company’s website. If a customer doesn’t need the soil it can be donated to a local community garden. “We’re here to intercept food scraps from going to the landfill where it truly becomes waste, and redirect it to create the rich soil people have a hard time finding,” co-founder Dominique Bischof told me. The company estimates it has intercepted almost 50,000 pounds of compostable material since it launched about one year ago. That’s led to the creation of 25,000 pounds of Black Gold—or premium, nutrient-rich compost soil for its customers. 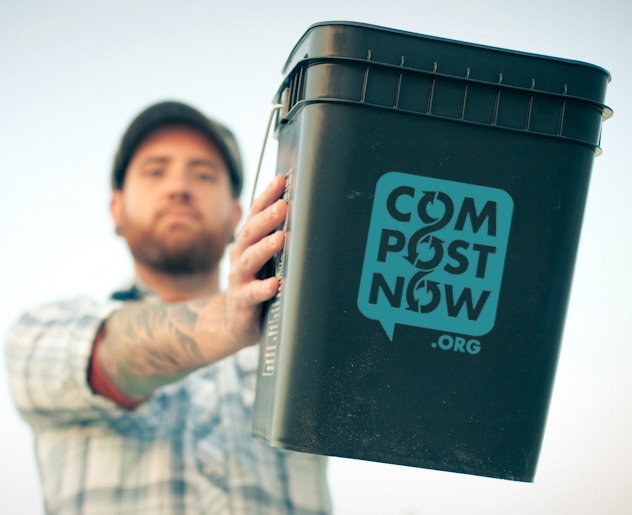 CompostNow has about 200 customers throughout North Carolina’s Triangle communities. And it is adding new customers every week. Bischof says the biggest challenge is explaining why composting is important. In fact, methane gas has five times the green house effect of carbon dioxide gas. Bischof adds that even if it the food scraps did decompose, all that nutrient rich soil is trapped in a landfill where it is lost forever. “Compost soil is moist and crumbly, it doesn’t smell and doesn’t contain any recognizable material, which is something people worry about,” says Ross. Here in Alameda County (SF Bay Area) we have a 3 trash cans – one for green waste, one recycling, and one for whatever’s left over (mainly plastic film package wrappers). The green waste includes not just vegetable matter and garden cuttings, but anything compostable including meat and bones, and of course things like paper napkins and such. Costco sells special compostable bags to line that particular trash receptacle in our kitchen. They also sell compostable forks/spoons/knives for picnics and such. Once a week it all gets picked up with special trucks that have different places for the different waste streams. The composting is done at a special facility that is able to handle the meat/bones (e.g. 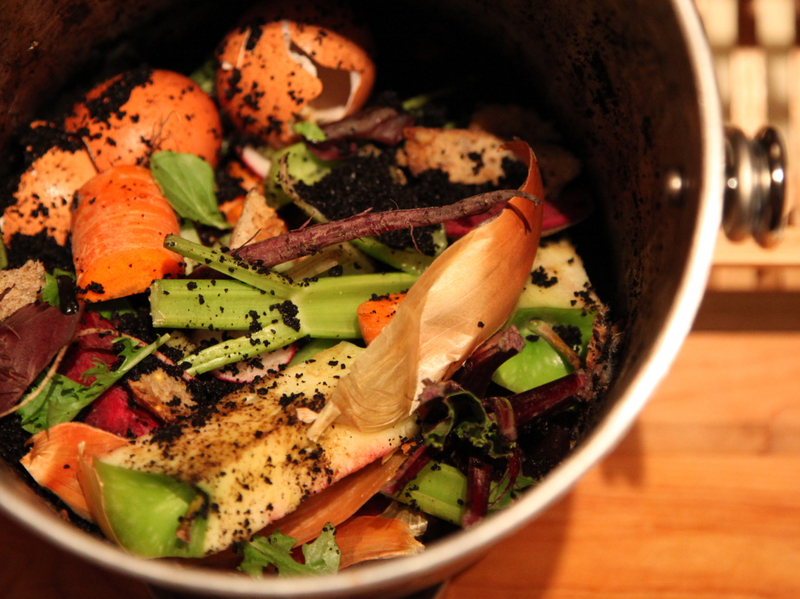 heating it high enough to kill the microscopic nasties), and the compost is sold to farmers. We have greatly cut down the amount of stuff that goes to landfills.This also reduces the greenhouse gases that would otherwise be produced by the food waste decay (anaerobically I believe) in the landfill. P.S. and I forgot to mention – for the homeowner this not only doesn’t cost any additional money, you save money. By reducing the size of trash can you need (for waste stream #3) you pay less in monthly trash pickup fees. For a family of 2 we use the very smallest trash can. The waste company is compensated partly by the ratepayers, but also by selling the recycling and compost. We are a bunch of volunteers and opening a new scheme in our community. Your site provided us with helpful information to work on. You’ve done an impressive activity and our entire neighborhood shall be grateful to you. Frank is an award winning reporter who joined UNC-TV in October 2012. He moved to Raleigh in 2004 to work for the NBC-owned station and agrees wholeheartedly with the song, "Nothing could be finer than to be in Carolina." Frank brings almost 25 years of TV experience to UNC-TV. He began his career in Presque Isle, Maine and has worked at stations in Clarksburg, W.Va, Lynchburg, Va., Norfolk, Baltimore and Cincinnati. Frank won a regional and national Emmy award for his coverage of riots in Cincinnati and a regional Emmy for a story on Raleigh's new downtown wayfinding system. His work has also been recognized by the Communicator awards, the Associated Press and the Society of Professional Journalists. Frank took a four year break from reporting to work with a Triangle Public Relations firm. While there, his PR and Marketing work won a Davey Award for a series of radio and television spots, as well as the social media campaign to rebrand a regional drug store chain. Frank grew up in Toledo, Ohio and graduated from Ohio University with a degree a journalism and a Master's degree in Political Science. Frank's true love is spending time with his wife and two children and his friends. He also enjoys photography, golfing and running (he's completed 3 half marathons with his wife).